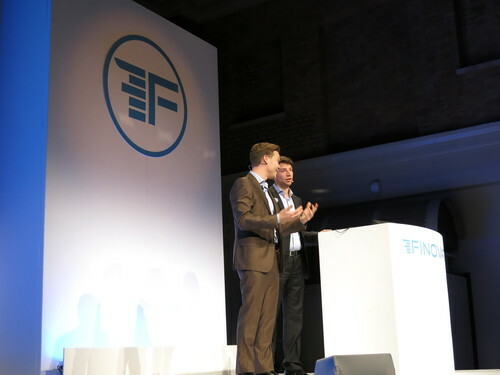 To help you prepare for FinovateEurope 2014, our fourth Finovate event in London, we’ve compiled a small taste of what the companies will demo over the course of February 11 and 12. To see each company demo live, get your ticket here. The Currency Cloud provides a transparent online service powering international payments firms. It enables businesses to move money around the world easily, quickly and securely. Moving money should be easy. It powers next-generation companies with a transparent, fast and trusted global payments platform to transform how the world moves money. ETRONIKA unites emerging trends and innovative techniques in IT solutions to amaze the market and create unique opportunities for clients in finance, banking and e-businesses. Its ecosystem helps banks and partners to achieve customer experience beyond expectations through upgraded smart data analysis engine and maximized fraud prevention. 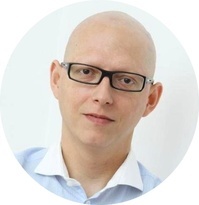 Kestutis has 18 years experience in banking and e-channel development. With a background in visual arts and quantum electronics, he is a true idea generator. Asta’s broad marketing perspective comes from years of multinational practice in FMCG and retail industries. Her creative and analytical skills are devoted to fully understand client’s needs. Feedzai provides payment fraud prevention at Big Data scale. Feedzai lets consumers and Banks be Facebook friends in order to make omnichannel commerce safe. Nuno is a senior sales executive with 15 years experience with a solid and extensive experience in technology and software companies like QlikView and SAS. IND Group is a digital banking, PFM and payments technology software innovator and vendor for financial institutions. Why it’s great: With IND Essence, all services are only a few taps away – anytime, anywhere. Mobile banking has never been so comfortable and easy, yet secure. József is the Co-Founder and Chief Innovator of IND Group, market leader of innovative banking front-office solutions. Tamas is the General Manager of IND (UK), a subsidiary of IND Group, a leading international innovative banking front end solution vendor. Meniga is the European market leader of white-label Personal Finance Management (PFM) and next-generation digital banking solutions. The Market Watch provides unprecedented, real-time, insights into consumer spending behavior, allowing banks to offer a highly valuable service to retail industry players. Georg is an accomplished technology entrepreneur with over 15 years of experience of founding, building and managing software companies with a global perspective. An interaction and information designer with a special focus on financial data and online banking. Einar has been working in the web industry since 1998 and is responsible for Meniga’s product roadmap. Trustev provides real time, online identity verification to eliminate fraud and increase revenues. Its rigorous authentication technologies deal with fraudsters, so you can serve your real customers. One of Ireland’s best-known serial entrepreneurs, Pat Phelan is recognised across the globe as one of the most connected men in the technology industry. Kennedy is a web professional with over 10 years experience in developing state of the art web engineering solutions with a speciality in building heavy duty web platforms. Stay tuned over the next few weeks for more in our Sneak Peek series. “Shaping trends, pursuing innovations and our enthusiasm in e-finance are what make us capable of creating and delivering state-of-the-art solutions. –Balazs Vinnai, CEO, IND Group. 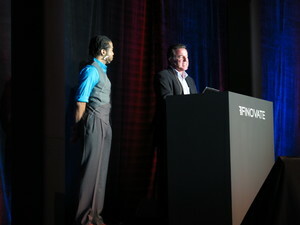 Who knew that IND Group was just one inspired Finovate demo away from even further accolades from the fintech community? Within weeks of earning its first spot on the Fintech 101, IND Group was returning home from Singapore with their very first Finovate Best of Show award. People will rightly talk about IND Group’s laugh-out-loud demo, a skit that used an imagined wild night on the town with a cast of crazy characters to help showcase the company’s mobile banking and personal finance management app, Essence. But what also won fans is the way Essence is designed around both basic banking functions like checking an account balance or a transaction history, while at the same time providing modern features like the ability to send and receive money through Facebook. The result is a very efficient user experience and a new channel through which financial institutions can engage their customers. To see IND Group’s Best of Show winning demo, click here. Mike Tyson jokes and gorilla suits aside, IND Group’s presentation of Essence reminded our FinovateAsia audience how much our spending and saving says about us. Essence also showed us how we can use that information to guide us to our goals, or even just from one end of the day to the other. 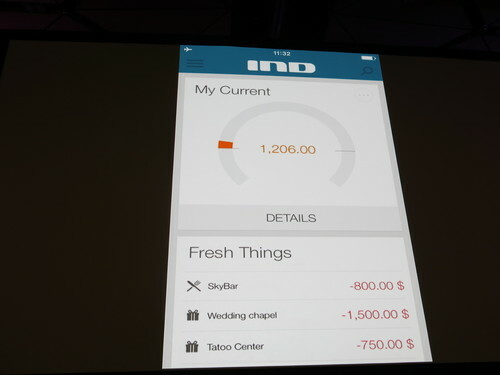 A funny and memorable presentation, a powerful and practical personal finance and banking app, and the support of and industry veteran like IND Group suggest a major new entry in the race for the perfect PFM. 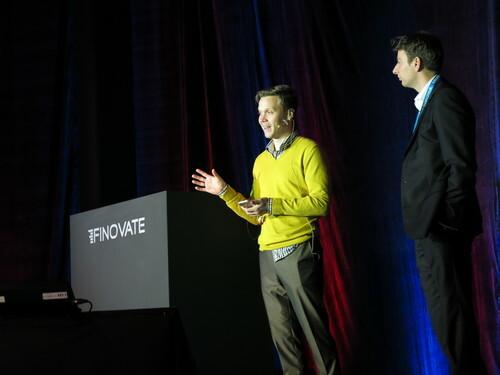 Finovate: With more than a wink and a nod at the hit comedy film, The Hangover, the team from IND Group made sure their demo would be memorable. Can you tell us a little bit about how a “slice of life” demo (albeit one that was over the top) helps tell the story of how people can manage the little slices of their own lives via your mobile PFM app, Essence? Viktor Balint: With our demo we not only wanted to wake the audience up and enjoy a presentation that was something different, but to reflect how our mobile bank, Essence, is part of our everyday lives. Essence is all about the customer, their real life experiences and needs. The most successful companies are those that build up their structure, processes and products purely from the customer perspective. People don’t want to do banking. They want to live their lives, managing their goals and achieving their dreams in the most comfortable way. We wanted to create a mobile bank that helps them do just that, quickly and easily. 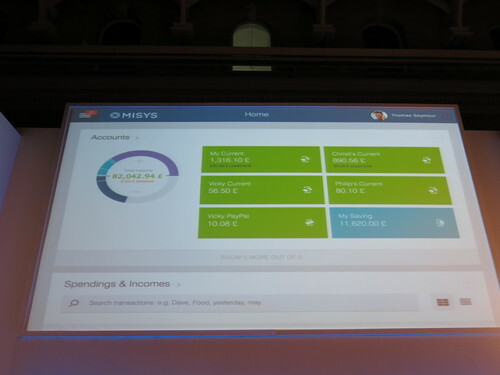 Finovate: At the beginning of the year at FinovateEurope, you showed us “Story of My Finances” which merged online banking and PFM. Is Essence the fully-realized version of that vision? Balint: “Story of My Finances” differs from traditional PFM tools that can be complicated and boring to use. That is the reason banks get disappointed when their customers don’t get excited about PFM modules. As in all IND products, our PFM’s starting points are a customer’s life situations and their financial health. Instead of functions and features we have developed stories that are real life events with financial impact (like “expecting a baby”). Our new mobile banking product, Essence, includes PFM features (or as we call our new approach: PFP – personal finance planner) we invented for “Story of My Finances”, such as goal setting and third party offers, but it is a complete mobile banking solution based on the uniqueness of mobile usage. Essence aims to make mobile banking simpler and more enjoyable by concentrating on the basic functions that people require when banking on the move: balance enquiry, money transfers and transaction history. Just like our PFM, via excellent customer experience it increases usage and so boosts sales and revenue for the banks. Finovate: IND Group was recognized as one of the Fintech 100 by American Banker magazine. Fifteen years after the company was founded, what does earning this recognition mean to you and your colleagues? Balint: This recognition is another clear sign of how much we have reached. IND was founded by three college friends in 1997 and now we are servicing 40 clients in 18 countries and continuously entering new markets. For several years now our clients have won numerous innovation awards with our solutions. FinTech 100 proves that we are not only a great innovator but also a global front runner in digital banking. Ovum, one of the most influential financial analyst firms also confirmed this in its latest report that gives a wide picture of the leading global digital banking vendors and we are proud that IND Group is among the vendors it recommends. 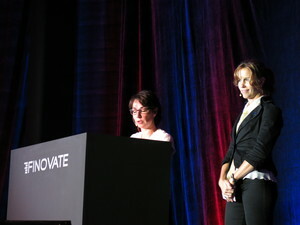 Finovate: We in the West hear and see so much innovation in banking come from Eastern Europe. What is it that Eastern European innovators are doing that the rest of the world could learn from? Balint: Eastern Europe as always hosted a large-scale work force, and thus been a great place for outsourcing. The region has also shown potential to become Europe’s Silicon Valley. It is the human assets and the excellent educational background of the region that make it a major player in technological innovation. ne by IND Labs, and we think this is one of the most important ingredient of our secret sauce for success. 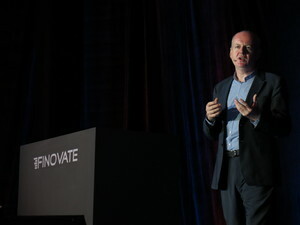 Finovate: What’s next for IND Group? What can we look forward to seeing by way of further innovation in Essence and mobile banking? Balint: IND Group’s vision is to reinvent every unloved aspect around banking and to give people a chance for an easier and healthier financial life. Our next innovation will be launched in February at FinovateEurope. Our new internet and tablet banking platform, Foundation, is built on the idea that online banking can be more intuitive and efficient – and maybe even fun. Our solution focuses on usability and ergonomics and we are convinced that this will lead to more engaged and happier online banking users, providing the implementing bank with a real competitive advantage. With this approach we believe also new customer segments can be engaged in digital banking: both young and older generations, people that would love to manage their money digitally, you just need to provide them with the right solutions! Prepaid MasterCard cardholders now able to reload at Walmart stores courtesy of Green Dot network. LendUp iPhone app enables mobile borrowing. YouthTech column on ramification in banking features IND Group. Taulia named 2013 Red Herring Global 100 Winner. Vix Technology partners with InComm to Support First of Its Kind, Transit Fare Media. Banking Technology features Doug Brown, SVP, eBanking at FIS, on the topic of mobile banking. This post is part of our live coverage of FinovateAsia 2013. “How they describe their product/innovation: To adapt to younger generations’ requirements, IND Group delivers a best-in-class banking app with an innovative drive. With IND’s next generation mobile banking, Essence, all services are only a few taps away – anytime, anywhere. Mobile banking has never been so comfortable and easy, yet secure. American Banker reports: Bill.com Updates Banking Platform. FIS, Fiserv, BancVue, & IND Group included in 2013 FinTech 100 rankings. U.S. News and World Report wonders if FlexScore will replace credit scores. Leaf earns a spot on BostInno’s “50 on Fire Finalists for Tech”. FinovateAsia is typically our most globally diverse show, and this year is no different. Two weeks from now, we will showcase 37 demos from companies spanning the globe that are innovating in everything from remittance to small business tools to back office solutions and much more. Given that diversity, we thought it would be fun put together a map showing the geographic spread of the demoing companies that will take the stage (click the map to enlarge). To see live demos of the new technology, meet the entrepreneurs responsible, and network with others in the industry, get your ticket to FinovateAsia here. 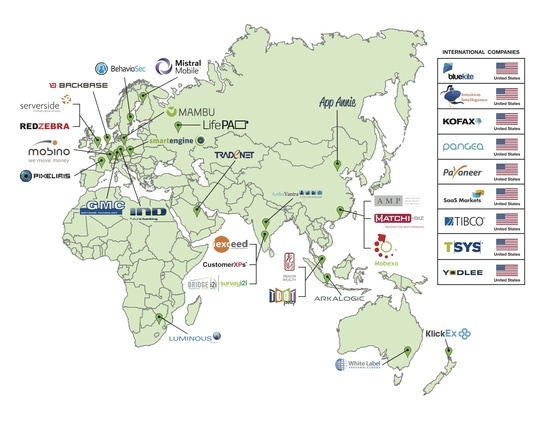 If you have questions about the show, check out who is attending or email asia@finovate.com. At Finovate, we’ve seen how great innovation comes from companies of all ages. All we have to do is look at the Best of Show winners from FinovateAsia 2012. The founding dates of the winners ranged from 1858 (NAB, the parent company of UBank) to 2012 (SocietyOne). We don’t know who will win Best of Show at FinovateAsia in Singapore this year, but looking at the launch date of the 37 companies taking the stage November 14, we found a 28-year spread. To learn more about each of these companies, check them out here and come see their live demos in Singapore on November 14.